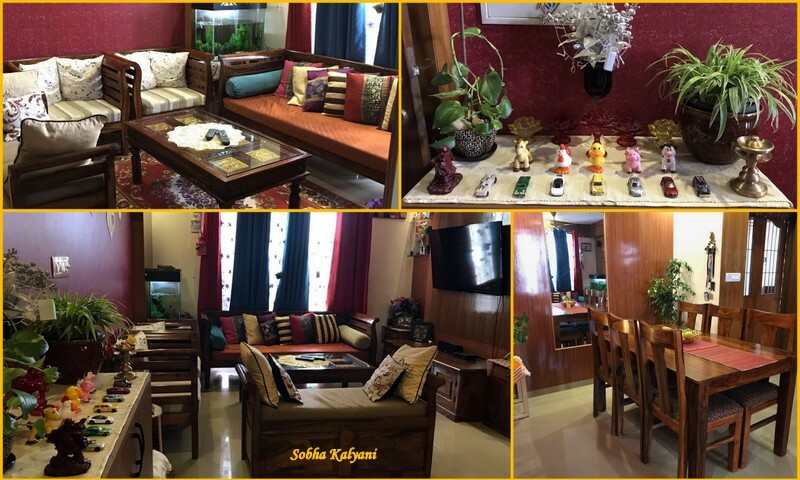 In my earlier posts, I had taken you on a virtual home tour to Mini Khajuria's flat and Vijay Kalia's (a senior citizen) flat in Bangalore. 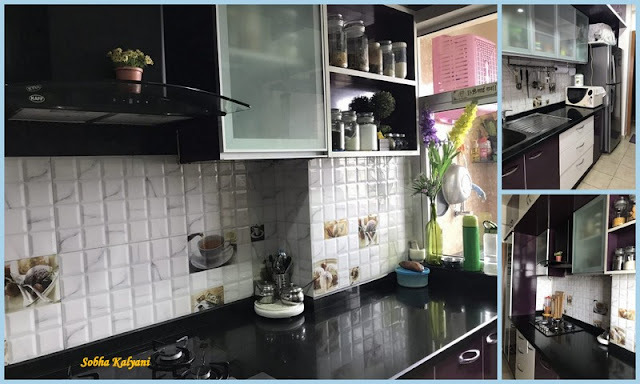 Today, I'm going to take you on a virtual home tour to one of a young, energetic and enthusiastic lady who is working in an IT company in Bangalore. Anu Tiwari is a working woman and is a proud mother of two smart sons (Ansh - 4 yrs old and Aksh - 6 months old). In spite of her busy life, she is able to manage with home decor and gardening. She maintains a cute balcony garden in her flat with well decorated pots that enhance the beauty of balcony in her flat. Let's go on a virtual tour and have a look at her beautifully illuminated living space enhanced with decorated items and indoor plants that are well placed and master bedroom. The corner stand with indoor plants in beautiful shoe shaped porcelain pots reflects Anu's aesthetic sense and her creative way of decorating. The small and cute toys of her son are well displayed along with ornamental plants. These in fact add beauty to the living room. In fact living room is the place where you spend most of your time in association with your family members, friends and relatives. So, this space should be decorated in such a way that it provides a happy ambiance for a comfortable stay. 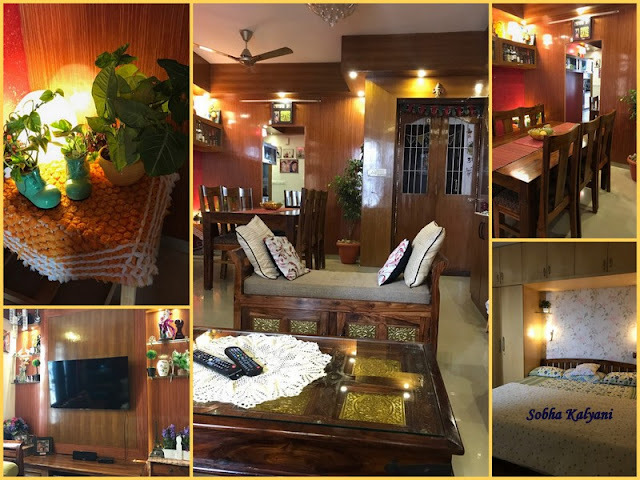 Here you can see the living space well organized by Anu Tiwari. The wall painting and furnishing are well matched to give an elegant look to the space. 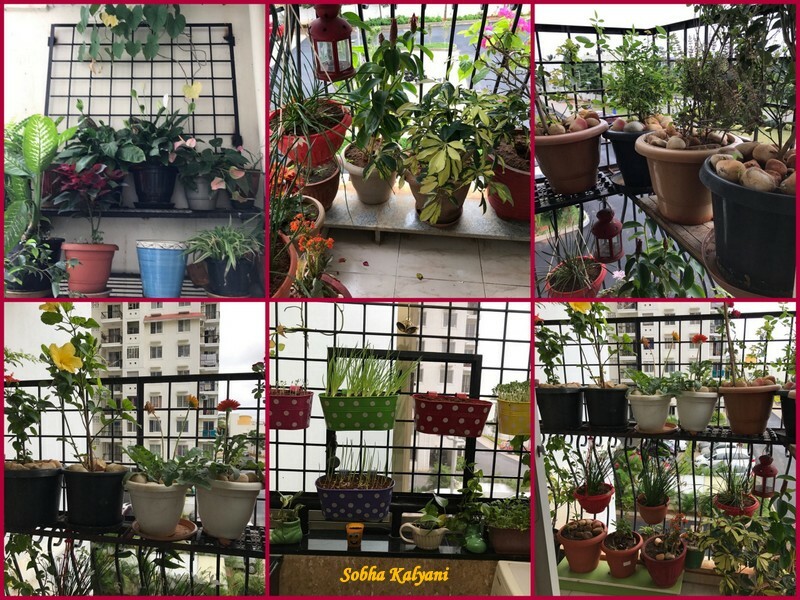 She is not only good in home decor but is equally good in maintaining a cute and wonderful green balcony full of potted plants with colorful flowers blossomed. The way the pots / plants are arranged in the balcony are worth applause. The balcony space is well utilized with proper arrangement of potted plants. And from the greenery in the balcony, let's move to the kitchen. It's perfectly organized with some bottled plants / flowers. The black granite cooking top counter with the contrasting white wall tiles are well matched and it gives a grand look. And the well placed idols / photos of gods / goddesses in the small pooja room has the divine touch. The colorful floor design i.e rangoli gives a perfect Indian traditional look. 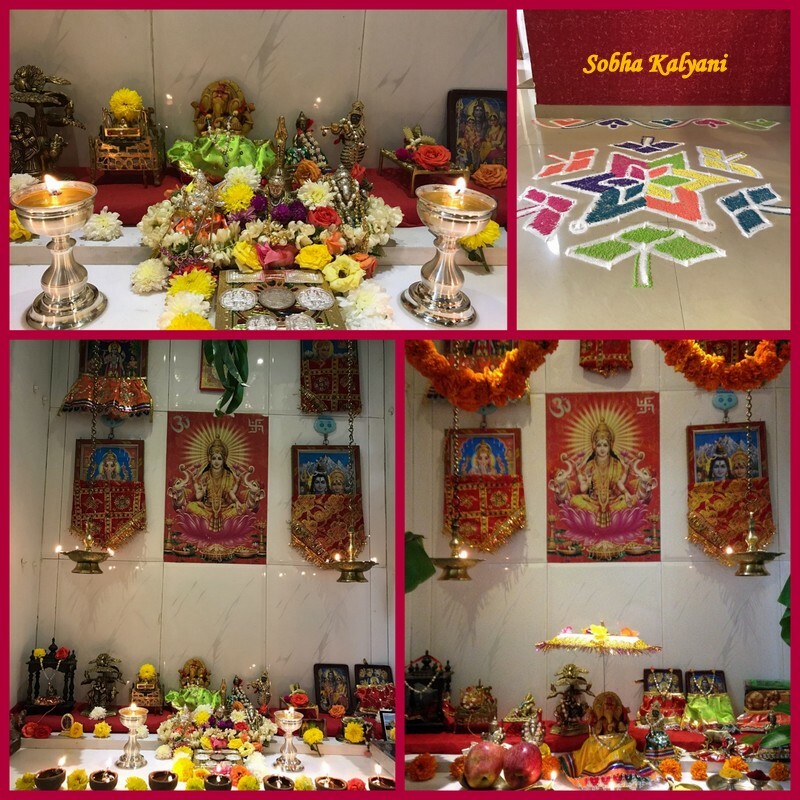 For a majority of Hindus, Pooja room is very important. 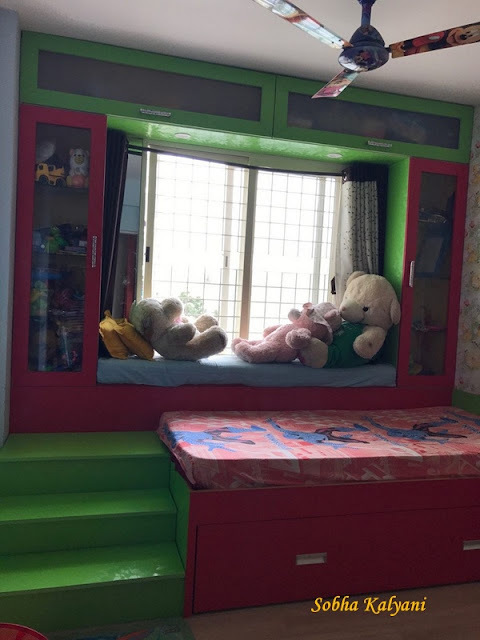 After all the home tour the one which is worth mentioning is the unique way of decorating the kids' bedroom with the colorful steps leading to the kid's bed and teddies on the window sill. The entire rook including the ceiling fan is a perfect kid's bedroom which is enjoyed the most by the kids. It gives a different look with steps and the teddies on the window sill. On the whole, Anu has proved that being a working woman is not a constraint for decorating home but it is the taste for home decor which is more important.